Glastonbury To Re-Locate From Somerset For "Special" Year In 2018? According to reports, Michael Eavis has hinted that the festival could be set for another location because he doesn't "want to miss out". Glastonbury Festival could be set for another location in 2018, according to reports. Speaking to the Central Somerset Gazette, festival founder Michael Eavis hinted that he doesn't want to "have a year without a festival", and may have found a "special" solution for it on the next scheduled fallow year. The Octogenarian revealed: "I have never really considered retiring because I would miss the festival too much. "That is why I don't really want to have a year without a festival. At my age I want to enjoy as many festivals as I possibly can. "I am getting too old and I don't want to miss out on any festivals." The June event, which has taken place on Worthy Farm in Pilton Somerset since 1970, introduced "fallow years" every five or so years to give the land, local population, and organisers a break. The event's last fallow year was in 2012, and it seems their next will be in 2018. 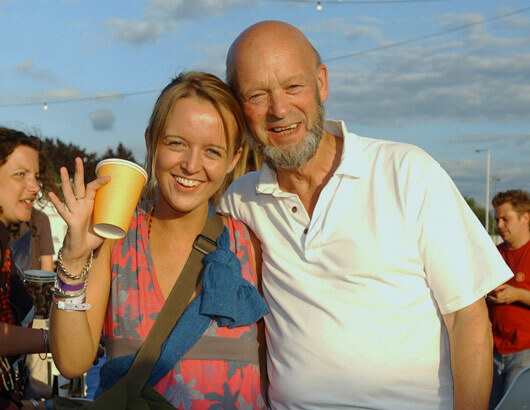 Despite Eavis working on Glastonbury for 46 years, he added that he still feels "excited" about the event. "I am very proud of what we have managed to achieve over the years," he gushed. "I wake up every morning and get excited just thinking about the festival."